Bedbugs are no strangers to warm cozy homes. Many homeowners don’t realize the harm these insects can do until they are affected by skin allergies and rashes caused by bedbug bites. Bedbugs – Who Are These Creepy Crawlies? 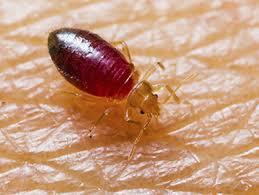 Bedbugs are brown, oval shaped and flat-bodied insects up to 4-5mm long or about the size of an apple seed. They are parasitic insects that belong to the cimicid family that exclusively live on the blood of humans and animals. These bloodthirsty creatures turn red and swell up after a blood meal. Bedbugs get active and come out on their blood sucking spree at night when the host is sound asleep. Bedbugs don’t live in hives like bees; they live in groups in various places where they feel safe and protected. They breed and hide in locations like cracks and crevices of beds, mattress seams, furniture, bed frames, behind headboards, picture frames, clothing, couches and even luggage. Their flat and small bodies enable them to crawl into your home and find the perfect hiding location without being noticed. From all the locations mentioned above, beds happen to be their favorite places to live. Did you know female bedbugs lay hundreds of eggs over a lifetime and can deposit 5 eggs a day? Under favorable conditions, the bugs can develop fully in less than a month and produce about 3 or even more generations every year? If your home is infested by bedbugs and you don’t get rid of them now, you can imagine what it would be like in a couple of years! Their case skins. As young bugs grow into adult bedbugs, they tend to shed their skin. So, if you spot case skins on your mattress that is a sign of bedbug infestation. All these are signs of bedbugs infestation. You need to be on the lookout for these especially if you have a doubt that you might be sharing your home with these unwanted house guests. Yes! These creatures crawl out of their hiding locations generally at night and painlessly sip a few drops of blood from your body while you are asleep. As they sip your blood, they simultaneously inject tiny amounts of their saliva into your skin. Due to the repeated exposure to their bites, you may become sensitized to bedbug saliva that may lead to mild or sometimes intense allergic reactions and skin infections. The skin lesion caused by their bites resembles mosquito bites. Allergic reactions caused by bedbug bites irritates the skin and cause itchiness. Serious bedbug infestation and chronic attacks can cause stress, insomnia and anxiety too. However, they are not known to transmit any infectious disease or agents. 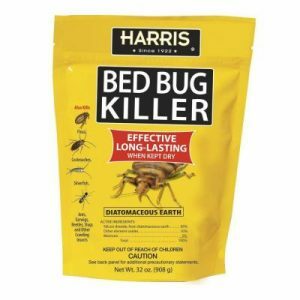 What Leads to Bedbug Infestation? Bedbug infestation is caused due to lack of hygiene and sanitation. If you don’t clean your home and clear up the place where you eat, it can lead to a bedbug infestation. Other than that, these bugs love traveling; they are likely to hitch a ride in your wool jacket while you are at the grocery store or in your luggage during your stay at the motel room. As these bedbugs travel smoothly, they can easily enter your home with you without you knowing it and then proliferate over time. Encase your mattress with a tightly woven zippered cover to ensure the bedbugs don’t crawl in. Since bedbugs can live without feeding for at least a year, it is advisable to cover your mattress for at least that length of time to make sure all bedbugs in the mattress are dead. To get rid of bedbugs for the longest time, you may need to make use of chemical treatments and insecticides. When using such treatments, you need to be careful and cautious. Generally, it is advisable to hire a professional pest control service instead of using chemical treatments on your own. The professionals have the experience, the expertise and the equipment to exterminate practically every bedbug or its eggs in your home.